Detailed scheme and appendix for conservation of the Templars complex in Beit Lehem HaGlilit At first the work entailed preparing a detailed scheme for the entire Templar complex as well as the areas of the agricultural lands on which the complex is located – approx. 300 dunam in total. Blueprints were prepared for this scheme as well as directives and a conservation appendix – a building plan and a pamphlet with detailed instructions for conservation of all the Templar structures on site. 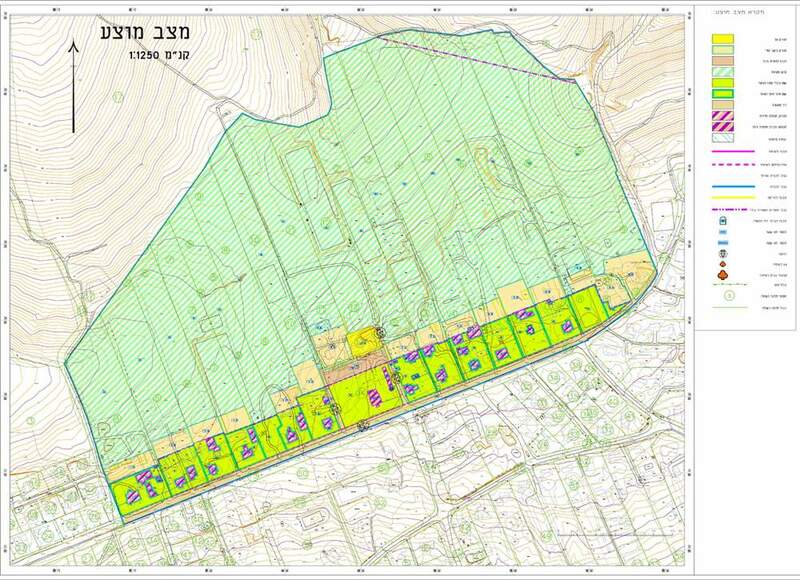 Due to the objection of the Israel Land Administration National Council, the detailed scheme was changed to a conservation appendix only, which was attached to another detailed scheme relating to arranging the non-agricultural activities in all the privately owned lands in the Moshav. The Templar complex is spread across about 42 dunams and forms a strip that is about 770 meters long and 55 meters wide on the northern side of the main street crossing the Moshav. Note that the directives for conservation refer not only to the structures themselves, but also the spaces and areas between the structures, the existing trees and other various elements such as walls and gates.